LAST PUBLETTERS OF THE SUMMER–tonight at DOOBIES BAR | For FEB.—we are upstairs at the Standard Tap, 2nd & Poplar ! If you don’t write to your friends about your vacation, did it really happen? Get caught up on your correspondence at Publetters, -TONIGHT-, Aug. 4th, at Doobies Bar, 22 & Lombard Sts., Philadelphia. Casa Papel provides posh paper and envelopes, Trophy Bikes brings a diverse selection of 1st Class postage stamps. You bring words. We’ll lend you a pen, and if you need some inspiration, we’ll have a world map for you to pick out resort towns. Starts at the crack of 7 p.m., FREE. 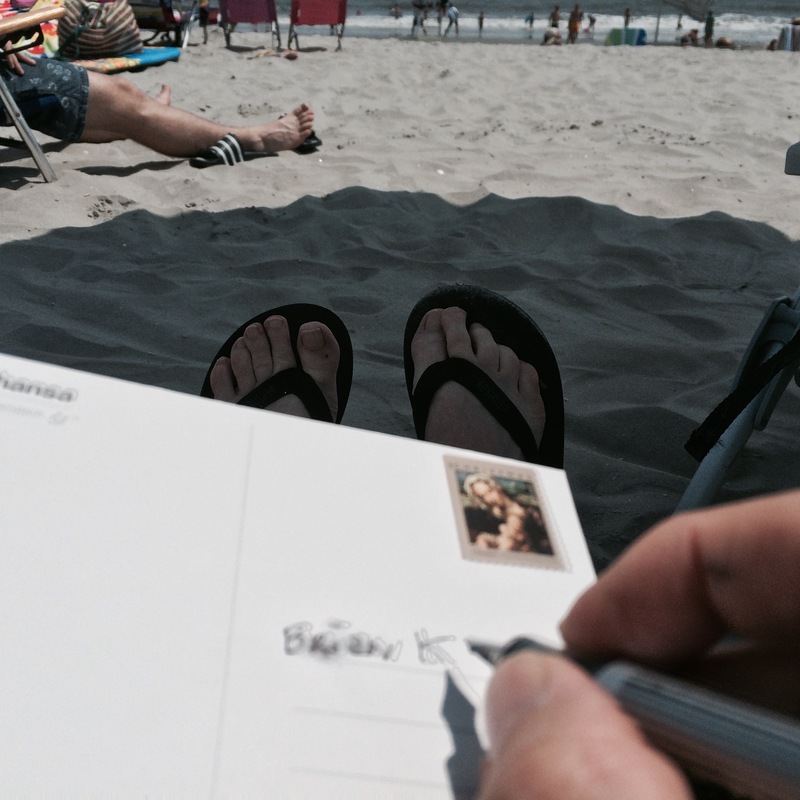 This entry was posted in Uncategorized and tagged DOOBIES BAR, drinking and writing, good Philly pubs, handwritten letters, letter writing, paper & stamps, postage stamps. Bookmark the permalink. Any word on when Publetters will resume? Hello, and sorry for the delay in replying! We’re back this October at a brand new spot for us–Tired Hands Brew Cafe (16 Ardmore Ave.) in Ardmore. We’ll be hosting Publetters every Tuesday–starting 10/6. See you there!